I have read some news that in the Netherlands there are no WCs in some short-distance trains because it would be too expensive. Is it true that there are urinal bags in these trains? How can I check, if any train has a WC or not? They are replacing original Sprinters, which do have toilets. These are commuter trains, thus generally not intended for long distance travel. They do have some quite long routes (eg. Lelystad—The Hague), however for that kind of distances there usually is much faster InterCity as alternative. Dutch Railways (NS) is to introduce plastic bags on stop trains for people desperate to go to the toilet, the Telegraaf reports. Passengers on sprinter trains that stop at all stations will be able to ask the conductor for a bag and use the empty driver's cabin. The bags will be easy to close and of bio-degradable plastic. The NS points out the bags are only available to people who are desperate and cannot wait until the next station, says the Telegraaf. Travellers and staff have already complained about the lack of facilities on sprinter trains, but transport minister Melanie Schultz van Haegen says they will not be fitted with toilets because it is too expensive. Passengers' association Rovers says it is pleased with the move but it is only an emergency measure. 'In the end, all sprinters must have toilets,' said a spokesman. It's true. But it's not so much the short distance trains as the slow trains (which you typically would take for short distances). I don't think there's an easy way to determine which trains have toilets, except that the rule of thumb is that 'stoptreinen' (frequently stopping trains), 'sprinters' (contrary to what the name might imply, short distance, regularly stopping trains) and 'some regional trains' no longer have toilets (from http://www.treinenmettoiletten.nl/veelgestelde-vragen.html, in Dutch). Not the answer you're looking for? 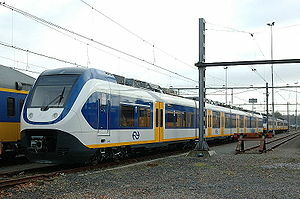 Browse other questions tagged trains netherlands hygiene nederlandse-spoorwegen or ask your own question. 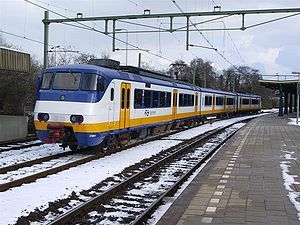 Which trains in the Netherlands have Wifi? Are there toilets on the long-distance Translink trains in Queensland? Where do you store your luggage in Dutch intercity trains?